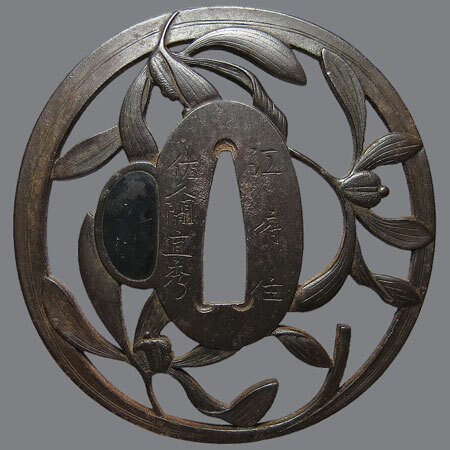 Iron tsuba made in shape of orchid. Orchid is the symbol of true nobility – humble and modest. 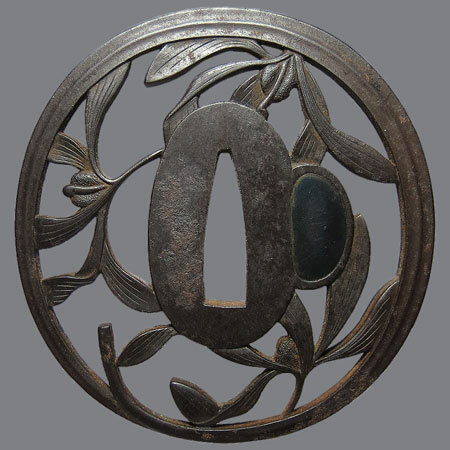 Author - independent craftsman Sakuma Yoshihide, he never belonged to any tsuba school. He lived in Edo, around 1820. He was good at high relief carving. 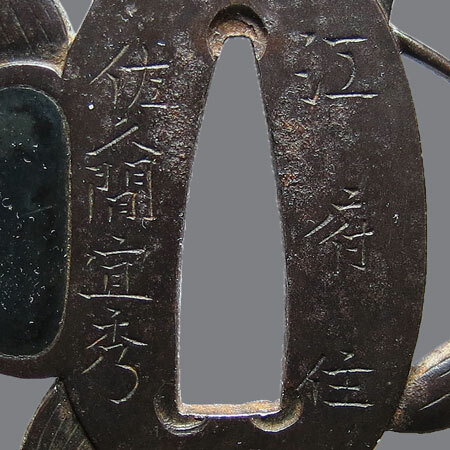 Inscription: 江府住 佐久間宜秀 (Kofu Ju Sakuma Yoshihide). Nagamaru gata, kaku mimi; 7,4 х 7,1 x 0,5 cm.